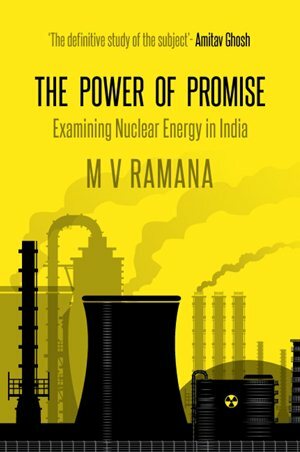 M V Ramana’s book dissects India’s nuclear-power lobby to expose its lies and deceit. 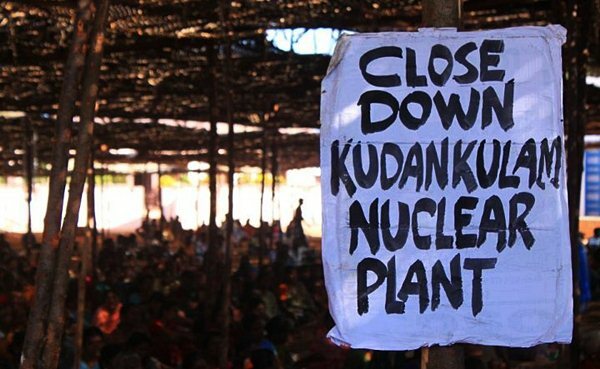 Activists have mobilised mass demonstrations against the Koodankulam Nuclear Power Plant. Early one morning in March 1993, ‘Narora’ came close to joining Chernobyl and Fukushima in the annals of industrial civilisation. Two blades broke off the turbine at the nuclear reactor near this town in Uttar Pradesh, India. The destabilised machine began to shake, damaging nearby cooling pipes that released hydrogen gas, which then caught fire. At the same time, lubricant oil leaked and fed the flames, which spread through the turbine building, causing an electricity blackout in the entire power plant. The control room filled with smoke, so that operators had to shut down the reactor and leave the vicinity. Even after shutdown, however, the reactor continued to generate heat because of radioactive elements in its core. In March 2011, similar heating occurred after an earthquake and tsunami disabled cooling systems at the Fukushima reactor in Japan, causing the core to melt and expelling massive quantities of radioactive material into the surroundings. Fortunately, operators in Narora averted a similar release by circulating water intended for firefighting to carry away excess heat from the core. Yet another danger remained, however: the reactor could spontaneously become ‘critical’ because of neutrons emitted by the radioactive materials, which meant that at any moment it could again start generating immense quantities of heat. In that case, the core would suddenly melt and react with the coolant, resulting in an explosion. So some Narora operators grabbed flashlights and, risking their lives, climbed onto the top of the reactor building to manually open valves that released liquid boron into the core. Boron absorbs neutrons: the core could no longer turn critical, and this heroic action averted a potential catastrophe. To be sure, India has not yet suffered a Chernobyl or a Fukushima. But as M V Ramana meticulously and exhaustively documents in his treatise The Power of Promise, lesser accidents (which the authorities dismiss as “incidents”) are routine, and several of these have had the potential to become catastrophic. A physicist currently employed at the Nuclear Future Laboratory and the Programme on Science and Global Security, both at Princeton University in the US, Ramana is a rare asset: an independent and knowledgeable expert who has been dissecting India’s nuclear programme for decades. With flaws persisting in older nuclear reactors and untested, unfamiliar designs being deployed in the new imported ones, Ramana shows that a serious accident could be only a matter of time. If the majority of Indians are unaware of the risks, it may be because they have been always kept in the dark about nuclear matters. Ramana demonstrates that the nuclear establishment in India has insulated itself from the people it purports to serve by means of a culture of secrecy and mendacity that obscures the true fiscal, environmental and human cost of nuclear energy. By publishing The Power of Promise, he has opened the windows of a long-shuttered room and let the sunlight stream in. Darkness was always necessary to nurturing India’s nuclear programme. In the 1950s, physicist Homi Bhabha used his friendship with prime minister Jawaharlal Nehru to propose the construction of “a very small and high powered body” to direct India’s nuclear ambitions, “composed of, say, three people with executive power, and answerable directly to the Prime Minister without any intervening link.” Only such an exclusive arrangement could ensure the secrecy that nuclear affairs required, Bhabha successfully argued. The resulting Atomic Energy Commission (AEC), which oversees the civilian nuclear programme, reports directly to the prime minister’s office and functions without parliamentary oversight, as does its subordinate body, the Department of Atomic Energy (DAE), which operates most nuclear facilities. The secrecy and impunity that Bhabha won for these agencies enabled him and his successors to sustain the twin delusions of affordability and safety on which the programme rests. In truth, nuclear plants provide expensive electricity: in 2011-2012, the Department of Energy’s proposed budget was INR 93.52 billion, after accounting for all the revenues it expected to receive. In comparison, the budget for renewable energy was almost eight times smaller, although that sector produced almost five times the energy, in absolute terms. As for the new, imported nuclear plants, the price tag is crippling: in a recent paper in the Economic and Political Weekly, physicist Suvrat Raju and Ramana calculate that the six French reactors to be built in Jaitapur, Maharashtra, will cost a staggering INR 3.6 lakh crore, or around USD 70 billion. And that’s without counting the costs of potential accidents. The nuclear establishment has also gone to extraordinary lengths to conceal information on another matter: safety. For instance, the DAE never shares its emergency plans with locals (who are the ones who need to know what to do in case of an accident), does not reveal the health records of its workers (who are routinely exposed to radiation), does not even monitor the health of temporary workers, often migrants (who are reportedly used for jobs entailing high exposure to radiation and then packed off to their distant homes), and never reveals the quantities of radioactive substances released into the environment by accidents or routine operations. “This means that one cannot independently calculate the radiation doses to which the inhabitants of areas near these facilities might be exposed,” Ramana notes. In 1991, a well-designed study documented elevated levels of cancers, congenital deformities, miscarriages, still births, and infant deaths among villagers living near the Rajasthan Atomic Power Station in Chittorgarh district, proving that residence by a nuclear power plant entails real suffering. Another means of maintaining secrecy and, thereby, public illusions about safety is to silence whistleblowers. In June 1994, it rained so hard in southern Gujarat that water from Motichar Lake entered the adjacent turbine and reactor buildings in the nuclear facility at Kakrapar. Workers on the morning shift had to swim through chest-deep water; electricity supply from the grid failed and the back-up diesel generator had to be turned on; and the flood water carried out canisters of radioactive waste that, astoundingly, have never been accounted for. The water also submerged pumps used to cool the reactor core. Serendipitously, following the Narora accident, reactors throughout India had been shut down for months to inspect their turbine blades. Otherwise, the situation could easily have become catastrophic. 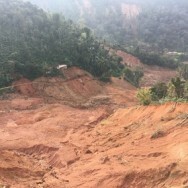 Local villagers, who were rightly worried about the safety of their families, came to the rescue by breaching the lake’s embankment and allowing the water to drain out. All this is known only because Manoj Mishra, an employee at the plant, wrote a letter to the newspaper Gujarat Samachar describing what had happened. He was fired, and went on to spend close to two decades fighting his case in various courts. This April, the Supreme Court ruled that Mishra was not entitled to the protections normally extended to a whistleblower because he was only a worker with limited education, not an engineer or a nuclear expert, and because his action was not “in furtherance of public good”. The court went on to explain that the public good required the pursuit of nuclear energy, which it deemed so valuable as to override “the smaller violation of right to life”. In other words, the judges decreed that lives may be sacrificed toward the end of providing nuclear power – proof of the frightening prowess of the industry’s propagandists. Globally, atomic energy is on the decline because of concerns about safety and cost. In consequence, the major powers are aiding their homegrown nuclear power companies by helping them sell to developing countries. In 2008, George Bush and Manmohan Singh signed the landmark Indo-US nuclear agreement, which allowed India to evade international restrictions and thereby import uranium and nuclear reactors. France and Russia went along with the deal, enabling India to join the exclusive club of accepted nuclear powers. But prestige comes at a price. As Anil Kakodkar, a former chairman of the AEC, explained in January 2011, the US, France, and Russia had helped lift the prevailing sanctions against India “and hence, for the nurturing of their business interests, we made deals with them for nuclear projects.” The pricey new imports are being sited at Koodankulam, at the southern tip of India (Russian reactors); at Jaitapur in Maharashtra, near an earthquake faultline (French reactors); at Kovvada in Andhra Pradesh and Mithi Virdi in Gujarat (American reactors). Yet the triad of powerful nations wanted more. A major deterrent to nuclear power is the cost of a catastrophic accident: the Chernobyl explosion alone has cost hundreds of billions of dollars. India, therefore, came under intense pressure to protect nuclear suppliers from financial losses in case of a mishap. The resulting Nuclear Liability Act of 2010 limits the damages to be paid by nuclear operators and suppliers to INR 1500 crores (currently approximately USD 250 million) – a small fraction of the capital cost of a reactor and a minute fraction of the potential cost of an accident. Even that was not enough to satisfy the vendors’ powerful backers, however, so the Indian government further weakened the provisions by executive fiat. The net result is that in case of a catastrophic accident, almost the entire fiscal burden will be borne by Indians – as will, of course, all the death and despair. What is worse, as Ramana points out, the reactor suppliers now have diminished incentive to ensure quality and safety. A predecessor of the new imported reactors started up on 13 July at Koodankulam, just by the Gulf of Mannar, one of the world’s richest areas of marine biodiversity. The DAE had chosen this site decades earlier for two Soviet nuclear reactors. Many locals, who live by fishing, feared the destruction of their livelihoods: along with small amounts of radioactive materials, nuclear power plants routinely emit enormous quantities of hot water, which kills fish. Accordingly, in May 1989 the National Fish Workers Union organised a protest involving more than 10,000 demonstrators. The police opened fire, but fortunately no one died. Although the Koodankulam project was shelved following the disintegration of the Soviet Union in 1992, construction began in 2001 on two Russian reactors. And following the 2008 nuclear deal, India promised to place two more at the same site. As the first imported reactor to be commissioned in decades, the Koodankulam project is regarded as proof of Prime Minister Manmohan Singh’s resolve to keep his side of the bargain with the superpowers, and it has been pursued with ferocity. 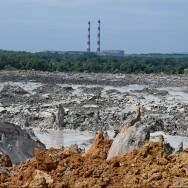 Following the Fukushima disaster, the people of Koodankulam desperately tried to stop the plant’s construction, and suffered intense police repression in return. Thousands of protesters, including children, now face accusations of sedition and war against the Indian state – charges that can lead to life imprisonment. At least two protesters have died, foreign nationals who sought to support the agitation have been deported, journalists are routinely intercepted and turned away, and even bus services to the protesting villages have been stopped. 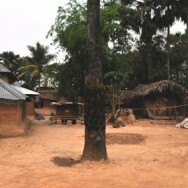 The fears of Koodankulam’s residents are well-founded. Ramana notes that the new Russian reactors, called VVER-1000, are of a design that has displayed persistent problems of a kind that can cause a severe accident. Even more worrisome, earlier this year Russian prosecutors arrested three officers of companies that had allegedly provided defective equipment for several nuclear reactors, including those in Koodankulam. And as if that were not enough, the new reactor design is unfamiliar to Indian engineers, who have had problems building the plant to specifications. 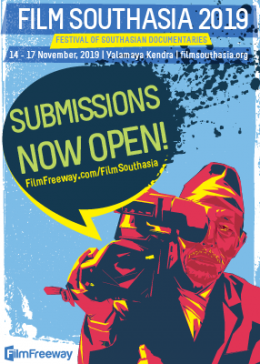 The combination of lethal and inherently unstable substances that explode unless maintained in exceedingly precise conditions, defective design and possibly faulty equipment, a foreign and poorly understood technology, plus a language barrier – these are a formula for disaster, as should be clear from the Bhopal gas explosion of 1984. 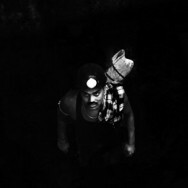 In May 2013, the Supreme Court denigrated concerns about the Koodankulam reactors by declaring nuclear power to be “a clean, safe, reliable, and competitive energy source.” The judges added: “Nobody on the earth can predict what would happen in future and to a larger extent we have to leave it to the destiny.” Thereby they abdicated any responsibility for their own role in enabling whatever hardships are to come. In stark contrast, The Power of Promise shows that when things go wrong with such intrinsically dangerous technologies, it is not destiny but human hubris and fallibility that are culpable. The book is too informative to be an easy read; nevertheless it needs to be read by everyone who cares about Indians, so that such dangerous delusions can be dispelled by the bright light of day. Note: Cost calculations in the article were made prior to the steep decline of the Indian Rupee. ~ Madhusree Mukherjee is the author of two books, Churchill’s Secret War (2010) and The Land of Naked People (2003), as well as a science journalist and former physicist. As a child I was often in Bombay (Mumbai) visiting my Uncles and Aunts and they lived near Sion-Koliwada. In neighbouring Trombay was a nuclear plant and I had childhood fears of what would happen when there was a nuclear catastrophy. 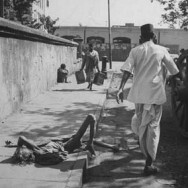 After Chernobyl and Fukushima, the Indian government ought to phase out the old nuclear plants because when there’s a big nuclear accident and a major leak, it will cost the lives of hundreds of thousand of densely populated areas in India. That would be a supergau. It seems hard to convince the obstinate power-hungry politicians in India and Fessenheim (France) to close down the dangerous nuclear plants. Democratic means of protest seem to be ineffective because the concerned authorities come up with new arguments to postpone such close-down projects. Chancellor Merkel did the right thing by swerving away from atomic energy in the aftermath of Fukushima.Ironically, the Japanese government still insists on investing on nuclear energy. Some people who run governments never learn from catastrophic experiences.